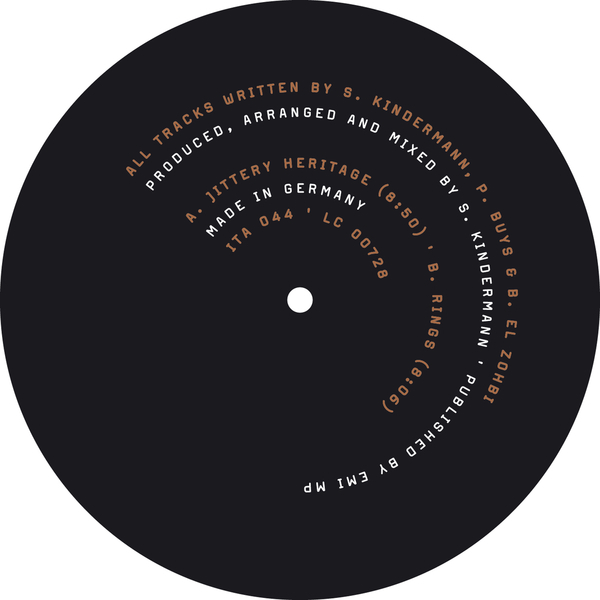 Einmusik present the second part of the “Jittery Heritage ep”. The title track carries things with a momentous beat and propulsive keyboard sounds until the big, uncluttered melody begins. The first part found favour with the Fabric jocks, and the same formula of comfortable acoustic drum breaks collide again here with an unusual beat construction - mad sounds, deep bassdrum and a suggested acid melody line. Big tune for starting up or inserting pressures into a mix. Check it.